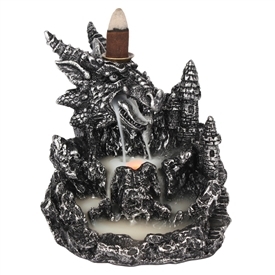 Sparks Wholesale Fancy Gift and Fancy Giftware Suppliers stock an ever increasing range of popular Incense sticks, Incense Cones and Incense Holders. We carry main brand leaders, Nag Champa, Satya, Stamford and Tulasi. Carved and Inlaid Wooden Ash Catchers, Carved and Inlaid Wooden Smoke Boxes, Brass Inlaid Ash Catchers, Brass Inlaid Incense boxes, Cone Boxes, Mango Wooden Incense boxes. Aroma sets, Brass and Wooden and Brass Inlaid Ash Catchers and many popular incense stick fragrances at very competitive wholesale incense prices....Just check 'em out! 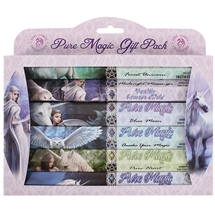 We stock many of the most popular incense stick fragrances, Lavender incense sticks, Sandalwood incense sticks, Opium incense sticks, Dragons Blood incense sticks, Frankincense and Myrrh incense sticks, Red Rose incense, Energising and Stress Relief incense, Nag Champa incense sticks, Superhit incense, Angel incense, Vampire incense, Unicorn incense sticks, Mermaid incense sticks, Vanilla incense sticks. Nag Champa cones, Cinnamon cones, White Musk cones. Also stockists of incense holders, wooden ash catchers, brass inlaid and carved wooden incense holders wooden tower incense holders. Wec are pleased to have Stamford incense as a gift supplier partner.